Malware spam: "Invoice 14 12 15" / "THUNDERBOLTS LIMITED [enquiries@thunderbolts.co.uk]"
This fake fax spam comes from random senders - company names and attachment names vary from spam to spam. 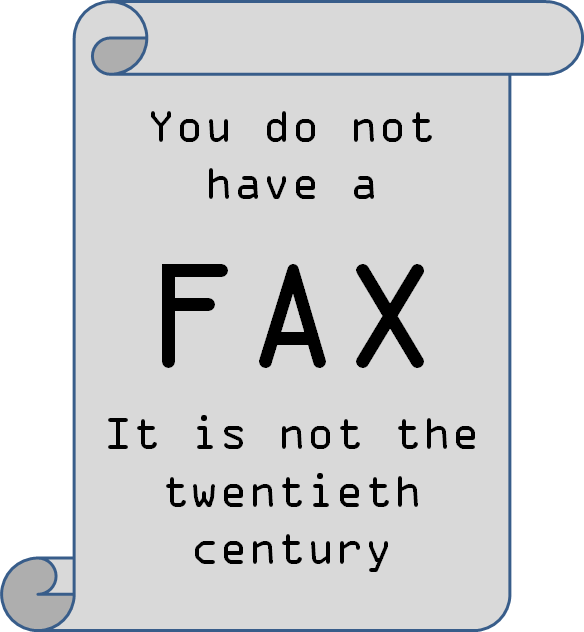 From: "Heaney, Vandervort and Hilll"
We are a new fax delivery service - Heaney, Vandervort and Hilll. Our company develops rapidly and services remain fastest and open to everyone. As our slogan goes: "Fast. Cheap. Best quality." Attached is a ZIP file combining various elements from the spam (for example, in this case it was fax_AhnxlQ8_Heaney, Vandervort and Hilll_Donny Kub.zip). This contains a malicious executable (e.g. Invoice Lake Janeview.exe) which currently has a 2/56 detection rate at VirusTotal. This pattern marks the malware out as being Upatre/Dyre. 197.149.90.166 is an IP address belonging to Cobranet in Nigeria which was also used in a similar attack yesterday. 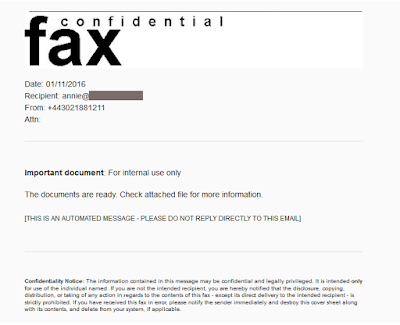 Malware spam: "Incoming Fax" / "Internal ONLY"
This has a VirusTotal detection rate of 2/55. 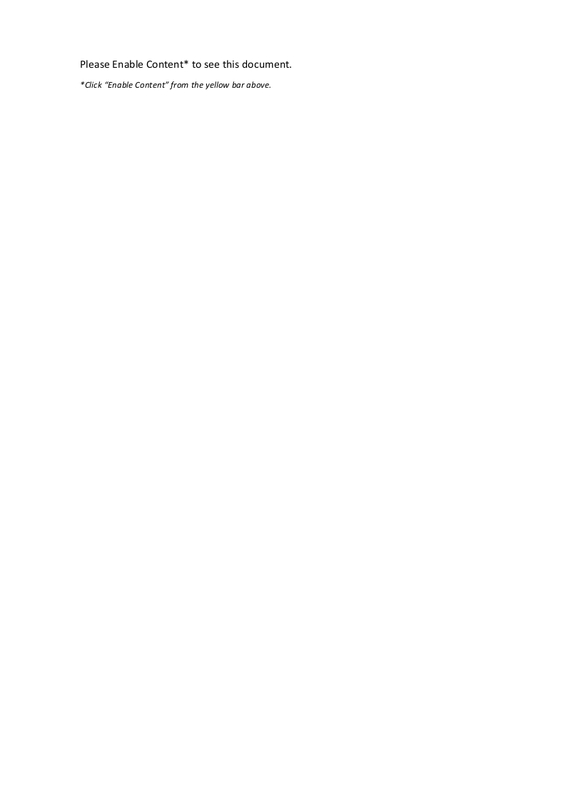 umontreal-ca.com (89.144.10.200 / ISP4P, Germany) is a known bad domain. Other analysis is pending, however the payload is likely to be the Dyre banking trojan. 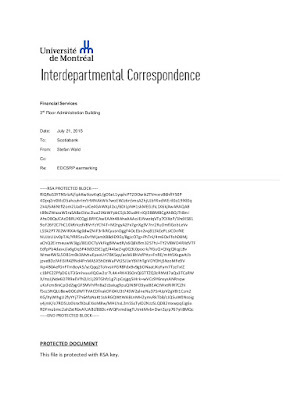 Malware spam: "Administrator - EDCSRP earmarking (Update 07_21_2015).doc" / "Internal ONLY"
This attachment(EDCSRP earmarking (Update 07_21_2015).doc) provides you with managing facilities for your mailboxes, public folders, distribution lists, contact and mail service general settings. Please save the attached file to your hard drive before deleting this message. This domain was registered just yesterday to an anonymous person and is hosted on 89.144.10.200 (ISP4P, Germany) so we can assume that it is malicious. But here's an interesting detail.. if you look at the Word document itself it does actually claim to be from the University of Montreal (click to enlarge). That seems like a lot of effort to go to, more than is usual for this type of drive-by attack.The malicious executable philips.exe has a detection rate of 13/55 and again, the Comments field has a useful list of IP address to block thanks to @Techhelplistcom. 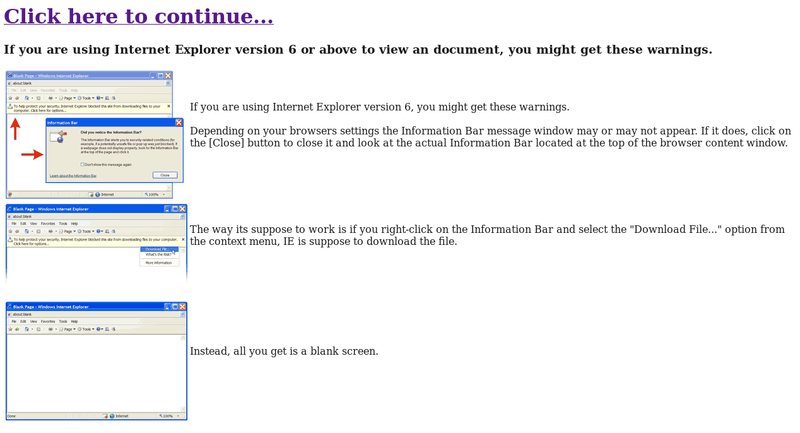 This whole thing is Upatre dropping the Dyre banking trojan, and it's quite clever stuff. Perhaps your best defence is a user education programme about not enabling active content on suspect emails.. The download leads to an EXE-in-ZIP download which is a little different every time    [virustotal]. Detection rates are around 6/55. Of these 202.153.35.133 is the essential one to block traffic to, belonging to Excell Media Pvt Ltd in India. A file axybT95.exe is also dropped according to the report, which has a detection rate of 7/48. Malware spam: "Employee Documents - Internal Use" / "Fax [no-replay@fax-voice.com]"
This fake fax run is a variation of this one from yesterday. What is interesting though is that the download location that you coax out of the script is time-limited. If you wait too long, you get a nonsense script instead. And possibly even more interesting is that every time you download the target ZIP file "message.zip ;.zip ;.zip ;" it seems to be different. That led to 10 different ZIP files containing different EXE files, each one with similar VT results           and in turn Malwr reports that they are almost identically functionally          . 202.153.35.133 (Excell Media Pvt Lt, India) is probably the key thing to block. Despite the differences in the downloader, they all seem to drop a randomly-named file with identical characterstics in each case. This has a VirusTotal detection rate of 1/55 and you can see the Malwr report for that file here. I am endebted to several people for help with this (not all of whom I can mention). It is similar to this recent spam run analysed by TechHelpList.com. It begins with a simple fake fax message.. So far, so good. But the scripts seem insane, like this one. Now, this script passes some browser variables to the next step (described here, I won't reinvent the wheel), and if you have all your ducks in a row you might get a "Read message" link. Get it wrong and you get another jjencoded script that turns out to be gobbledegook (like the message seen here). The download link looks something like this - http://stylista.com.cy/js/jquery-1.7.50.js?get_message=2151693229 - which in this case downloads the curiously named file "message.zip ;.zip ;.zip ;" which contains a file fax_letter_pdf.exe which is of course malicious. Now, it's worth pointing out that there is strong evidence that the EXE-in-ZIP file downloaded here has several different version. In this case it has a VirusTotal detection rate of 3/56. I have seen at least two other MD5s though, I think each download site might have a different variant. It also drops a file EXE1.EXE which has a detection rate of 4/56. That analysis indicates that the payload is the Dyreza banking trojan. All this seems like a lot of effort to drop a ZIP file with a funny name, but it does go some way to obfuscating the payload. Malware spam: no-replay@my-fax.com / "Employee Documents - Internal Use"
Fax spam again. How quaint. This spam appears to come from the person receiving it (which is an old trick). You have received a 3 page fax at Mon, 24 Nov 2014 15:31:23 +0000. 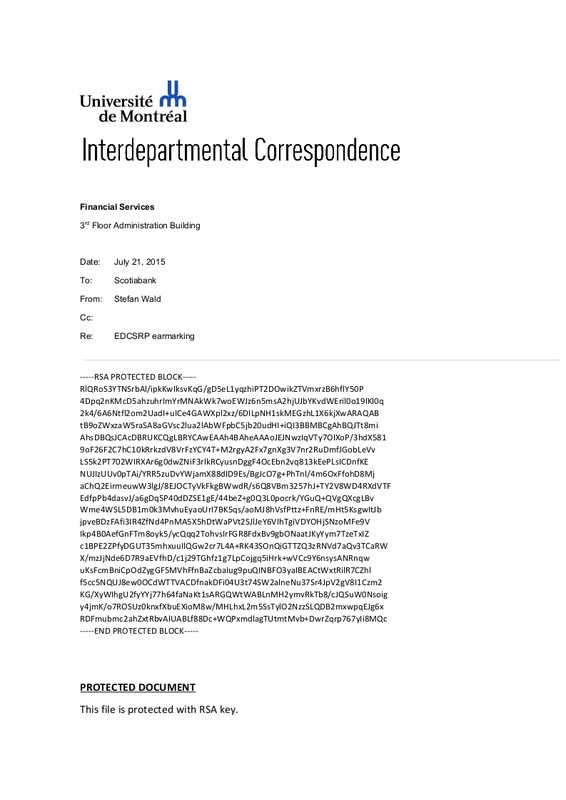 * The reference number for this fax is chd_did11-14186364797-10847113200-628. 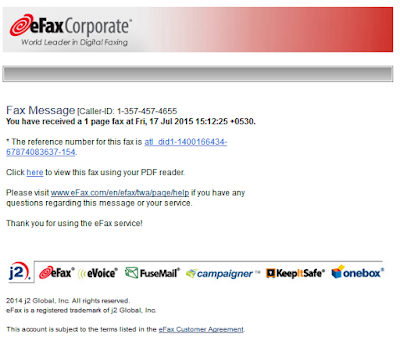 Thank you for using the MyFax service! A file EXE1.EXE is also dropped, with a VirusTotal detection rate of just 1/54. The Malwr report is here. It then drops a malicious DLL onto the target system which has a rather better detection rate of 12/53. If you are a corporate email admistrator they you might consider blocking .DOCM files at the perimeter as I can see no valid reason these to be sent by email. You should definitely block 84.40.9.34 (Hostway, Belgium) as this is a known bad server that has been used in several recent attacks. 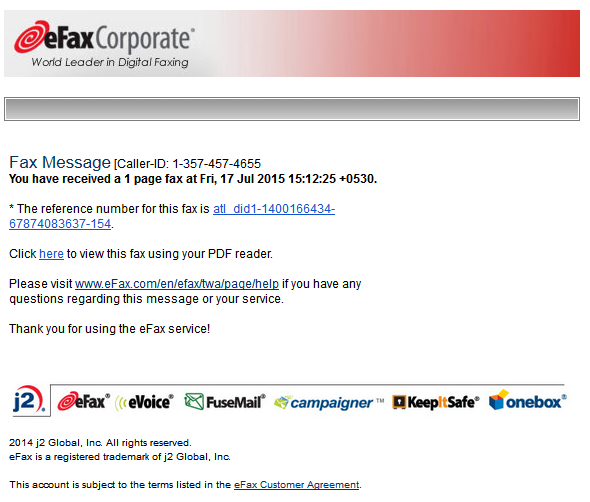 "You've received a new fax" spam.. again. Another day, another fake fax spam. The malware also drops two executables on the system, kcotk.exe (VT 0/53, Malwr report) and ptoma.exe (VT 2/51, Malwr report). 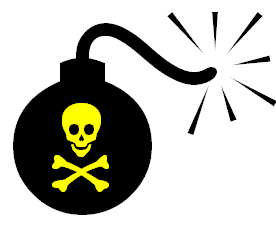 Malware spam: "You have received a new secure message from BankLine" / "You've received a new fax"
A couple of unimaginative spam emails leading to a malicious payload. If you have concerns about the validity of this message, please contact the sender directly. 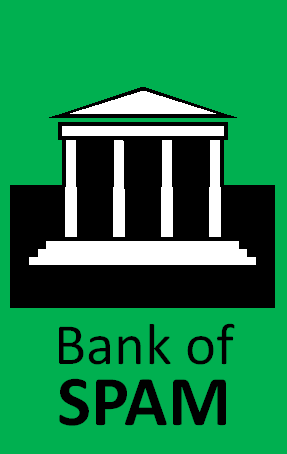 For questions please contact the Bankline Bank Secure Email Help Desk at 0131 556 7507. Clicking the link downloads document_312_872_pdf.zip from the target site which in turn contains a malicious executable document_312_872_pdf.exe which has a VirusTotal detection rate of 3/54. Also dropped are a couple of executables, egdil.exe (VT 2/54, Malwr report) and twoko.exe (VT 6/55, Malwr report). Malware spam: "You've received a new fax" / "You have received a new secure message from BankLine"
"You've received a new fax"
"You have received a new secure message from BankLine"
If you have concerns about the validity of this message, please contact the sender directly. For questions please contact the Bankline Bank Secure Email Help Desk at 0131 556 3297. The malware downloads a file document_73128_91898_pdf.zip from the target site that contains a malicious executable document_73128_91898_pdf.exe which has a VirusTotal detection rate of 4/54. Malware spam: NatWest "You have a new Secure Message" / "You've received a new fax"
NatWest: "You have a new Secure Message"
If you have concerns about the validity of this message, please contact the sender directly. For questions please contact the NatWest Bank Secure Email Help Desk at 0131 556 6002. The link in the email goes through a script to ensure that you are using a Windows PC and then downloads a file document3009.zip which contains a malicious executable document3009.scr which has a VirusTotal detection rate of 3/54. The Comodo CAMAS report and Anubis report are rather inconclusive. 188.165.198.52 is (unsurprisingly) allocated to OVH in France and is definitely worth blocking. Malware spam: "Employee Documents - Internal Use" / "You have a new voice" / "BACS Transfer : Remittance for JSAG244GBP" / "New Fax"
Whoever is running this spam run is evolving it day after day, with different types of spam to increase clickthrough rates and now some tricky tools to prevent analysis of the malware. You are receiving this message because we were unable to deliver it, voice message did not go through because the voicemail was unavailable at that moment. The link to this secure message will expire in 24 hours. If you would like to save a copy of the email or attachment, please save from the opened encrypted email. If an attachment is included, you will be given the option to download a copy of the attachment to your computer. You have received a new fax . 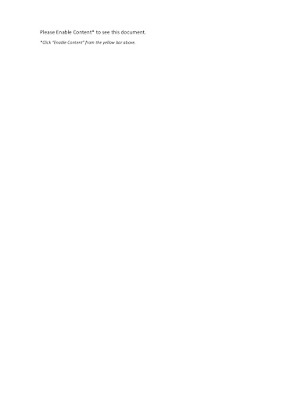 Date/Time: Fri, 26 Sep 2014 16:26:36 +0700. The attack has evolved recently.. usually these malicious links forwarded on to another site which had the malicious payload. Because all the links tended to end up at the same site, it was quite easy to block that site and foil the attack. But recently the payload is spread around many different sites making it harder to block. A new one today is that the landing page is somewhat obfuscated to make it harder to analyse, and this time the download is a plain old .scr file rather than a .zip. I've noticed that many anti-virus products are getting quite good at detecting the malicious ZIP files with a generic detection, but not the binary within. By removing the ZIP wrapper, the bad guys have given one less hook for AV engines to find. The landing page script looks like this [pastebin] which is a bit harder to deal with, but nonetheless an malicious binary document7698124-86421_pdf.scr is downloaded from the remote site which has a VirusTotal detection rate of 2/55. The Anubis report shows the malware attempting to phone home to padav.com which is probably worth blocking.